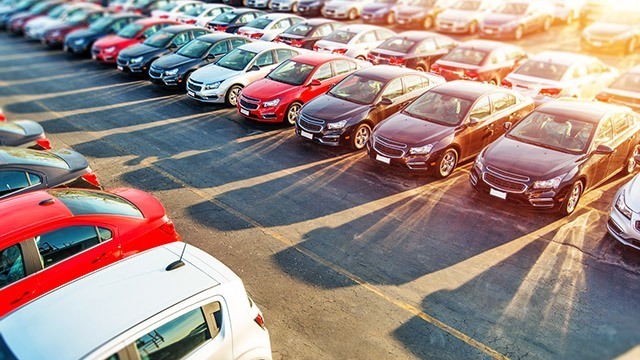 In response to government proposals to increase excise taxes on the sale of new automobiles, car manufacturers and dealers have warned that the move would crimp car sales. That could hurt not just the companies but also the thousands of workers employed by the industry that saw vehicle sales grow by 24.6 percent to 359,572 units last year after rising by 22.9 percent in 2015. The move to raise vehicle excise taxes is part of the Duterte administration’s proposed Tax Reform for Acceleration and Inclusion Act (TRAIN). A version of the law passed by the House of Representatives last May 31 will double the excise taxes on the cheapest models from two percent of net manufacturer’s price to four percent in two years. Bankers, who provide the one to five-year loans that make it easier for buyers to acquire cars, however, seem to have a more sanguine view of the impact of the proposed higher excise taxes on the demand for cars. Like vehicle sales, car loans have been soaring in recent years. These rose by 30.3 percent to Php1.4 trillion last year after growing by 28.3 percent in 2015, according to data from the Bangko Sentral ng Pilipinas. Ma. Cristina “Ginbee” Go, the newly-appointed BPI Family Savings Bank president, believes the proposed increase in vehicle excise taxes may have a neutral effect on car sales as well as car loans in the future. “The excise taxes are bound to increase the cost of a car. Therefore, if the cars become more expensive, what would most likely be the behavior of a client or a customer who needs a car? They will downgrade to a model that they can afford, and or [they will get the] same model but get financing,” Go explained. In the first quarter of 2017 alone, total auto loans rose by 26.5 percent to Php408 billion from the same period last year. Motor vehicle loans made up 31 percent of the total loan portfolio of all the banks in the Philippines. Residential real estate loans comprised 41 percent, followed by credit card receivables at 15 percent, salary-based consumption loans at 11 percent and other consumer loans at two percent. Auto loans comprised 26 percent of BPI Family Savings Bank’s loan portfolio of Php207 billion in 2016. Housing loans made up the biggest chunk at 54 percent, said Go. Financing for micro, small and medium enterprises accounted for up to 20 percent. “The challenge for us is how to innovate on our credit models knowing that we can get more information now from the Credit Information [Corporation],” Go said. The CIC is a government corporation mandated to centralize billing and loan data on clients of banks, utilities and other companies. BPI Family Savings Bank is the largest thrift bank in the country by asset size, with Php276.9 billion in its portfolio as of the end of first quarter this year. It is planning to expand its branch network by building six more branches in the Visayas and Mindanao this year.